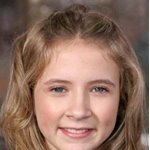 Eliza Bennett was born in 1992, in Reading, Berkshire, England. Eliza started acting at a young age when she appeared in stage productions at school, and even appeared professionally as part of the original cast of "Chitty Chitty Bang Bang". Eliza, wanting to get more involved in acting, had her parents take her to the Sylvia Young Theatre School, which also has an agency. Eliza was signed to the school and agency, and then took on her first big movie role as Princess Arabella in "The Prince & Me". She then appeared in the TV miniseries "Supernova" as Haley Richardson. Her big break came in in "Nanny McPhee" (2005), which also starred Colin Firth and Emma Thompson. Soon after she portrayed the role of Nora in "Marple: By the Pricking of My Thumbs" (2006). Eliza also played Young Anne in the 2006 film "Victims", and was Emily in "The Contractor" (2006). She heard of an open audition for the role of Meggie Folchart in the anticipated film "Inkheart", based on the novel by Cornelia Funke. Eliza beat over hundreds of girls for the coveted part, and in early 2007 was in Italy filming the movie.